Watch our one hour recorded webinar to find answers to commonly asked questions. Q: What is an eradication project? An eradication project may be put in place following a detection of a new invasive species to remove all life stages (pest adults, larvae and eggs) from the area and stop the pest from becoming established. Methods for eradication vary based on the biology and characteristics of the pest. Without eradication, the pest would remain in the state indefinitely. It is best to detect invasive species as early as possible. Sometimes, early detection methods will detect as few as 1-2 individuals. Risk models and biological experts help to make the call whether an eradication project is necessary to protect the state from the devastating effects of an invasive species. Prevention and early detection programs are a critical part of our state’s defense against invasive species. The Japanese beetle population in Cedar Mill, Bonny Slope, Oak Hills, and Bethany of Washington County was small enough when detected that eradication may be possible. Q: What is an invasive species? “Invasive species are animals, plants, and microorganisms that are not native to Oregon and once here can reproduce so vigorously that they replace our native species. They pose a threat to key sectors of Oregon's economy that depend upon natural resources and native ecosystems.” Learn more about invasive species in Oregon here. Q: How do we know that Japanese beetle is a problem? Like many invasive species, Japanese beetles outside of their native habitat do not have predators in the United States to balance out and stabilize their population. Throughout the Eastern and Midwestern United States, JB populations create large-scale destruction to garden plants and agricultural crops. Because the beetle is a serious threat to many of Oregon’s thriving industries, including nurseries, turf grass, and specialty crops, ODA is working hard to contain the JB population through quarantine and treatment. The fight to eradicate and prevent invasive species such as JB is an effort to protect Oregon’s agricultural livelihood. Q: How would Japanese beetle affect crops, gardens, and forests? This invasive pest can be destructive in multiple life stages. As an immature “grub” it feeds on the roots of grasses, limiting the plant’s ability to acquire water, creating dead patches of grass or turf. As an adult, JB feeds on leaves creating a pattern known as “skeletonizing”. The feeding results in the defoliation of the plant. Roses, grapes, fruit trees, and berry plants are highly susceptible to this type of damage. Defoliated plants not only lose their leaves, but are are more susceptible to disease and stress, have higher death rates, and lose the ability to photosynthesize. Without photosynthesis, essential ecosystem services such as purifying air, maintaining water quality along streams and rivers, and mitigating extreme temperatures (via shading) are affected. Q: How do I know if I have Japanese beetle on my property? In the fall, winter and spring, Japanese beetle is an immature “grub”, and feeds on the roots of grasses, limiting the plant’s ability to acquire water. Look for dead areas of turf or grass as a sign that Japanese beetle grubs might be present. In the summer, you may find Japanese beetle adults feeding on leaves, fruits or flowers (Japanese beetles love roses! ), see this look-alike guide for tips on identifying Japanese beetle. If you live outside the treatment area and think you have JB on your property, contact the ODA team to improve the detection process. Note: Japanese beetle are often confused with boxelder bugs. If it’s late autumn and you have hundreds of beetles coming into your home, these are not Japanese beetles. Boxelder bugs are native to North America. These bugs are not invasive nor are they poisonous, but they can be a nuisance as they seek out warm places to stay for the winter. To learn more about boxelder bugs and how to prevent them from coming into your buildings, read this boxelder bug info page maintained by University of Minnesota Extension. Q: How did Japanese beetles come to Oregon? JB was first found in the United States in a nursery in New Jersey in 1916. Since then, JB populations have spread throughout the East coast and Midwest, causing devastating impacts in home gardens and agricultural crops. Japanese beetles most likely were brought to Oregon by someone moving from an affected area with a potted plant. JB eggs and larvae live in soil and can be easily transported by accident, hidden from the view deep in the soil. Plants, grass clippings, sod, and other yard and landscaping materials can easily transport JB from one region to another. That’s why ODA has created a yard debris quarantine for part of Washington County. For more information, check out our quarantined Yard Debris & Landscaping FAQ section (below). Q: Where is Japanese beetle in Oregon as of January 2019? Cedar Mill, Bonny Slope, Oak Hills, and Bethany neighborhoods of Washington County. The population that was detected in 2016 in Washington County has grown into the largest and most widespread ever detected in Oregon. This website was developed to address this complex and large-scale eradication project. Although the origin is uncertain, ODA suspects that this population was likely started by a potted plant moved into the neighborhood from a JB infested area. Oakland, OR. The population in the historic town of Oakland, OR was detected in 2017. In total, 10 beetles were detected. In 2018, only 1 beetle was detected. This population was likely started by a potted plant moved into the neighborhood from a JB infested area. Portland International Airport, OR. There is a persistent threat of new introductions through high-traffic airports carrying cargo from Japanese beetle infested areas. The Portland airport requires treatment each year to manage the threat of new introductions. ODA has been successful for over 40 years in keeping this threat from expanding to other areas of the state. Q: How do you treat an area for Japanese beetle? What is being treated? For specific information about what treatment is, please visit our Treatment page. Q: Where is the treatment area? Explore the map of the 2019 Japanese beetle treatment area using the button below. Outside of the treatment area designated in Washington County, treatments have occurred in Oakland, OR and the Portland International Airport in recent years. Learn more under the Q: "Where is Japanese beetle in Oregon?" When you visit the treatment map by clicking on the button above, find and click the icon (see icon, right). Enter your address in the “Find address or place” search bar. A yellow arrow pointing to your address will appear. ​Q: I live in or near the treatment area, how can I help? Report insects that you suspect could be Japanese beetle, if found OUTSIDE of the treatment area, to the ODA. Report any extensive beetle damage to lawns, roses, grapes, fruits, or other trees and shrubs, if found OUTSIDE of the treatment area, to the ODA. Cooperate with ODA survey staff when they request permission to place traps on your property during the summer. Comply with quarantine regulations that stop the movement of plants and soil from infested eastern states, unless the material is certified by state agricultural officials to be free of Japanese beetle or has been properly treated to eliminate any beetle life stages. Q: How do I consent to treatment? If you live within the treatment area, you will receive a notice from the ​ODA with details about the project, including a consent form​. Treatment for Japanese beetle begins each year in April. ​Please return your completed consent form as soon as possible once you’ve received it. Q: What is the pesticide that the ODA will treat my land with, and will it harm humans, pets, or other insects? Acelepryn G® is a targeted larvicide that kills certain pests in their larval state in the soil. This is a “reduced risk” pesticide and is not considered to be a health threat for humans, pets, and other insects that don’t go through a larvae stage in treatment areas (including pollinators) when applied correctly. According to the label, “Acelepryn G is recommended for Integrated Pest Management programs on turf and landscape ornamentals because it does not directly impact natural arthropod predator and parasitoid populations including ladybird beetles.” Since the treatment targets certain pest larvae in the soil, the treatment with Acelepryn G® has no adverse effects on pollinators when applied according to the label instructions. The common lawn pest, crane flies, are a targeted pest of Acelepryn G.
Q: Will my vegetable gardens or blueberry bushes be treated? Vegetable gardens, blueberry bushes, and other edible shrubs or plants are not subject to treatment at this time. For more information about the larvicide Acelepryn G®, please visit the Oregon Health Authority’s Q&A page. Q: What’s the difference between a quarantine area and a treatment area? The quarantine zone is a specific boundary developed by Oregon Department of Agriculture based on trap catches of Japanese beetles and likelihood of spread. High-risk yard debris is not allowed to move outside of this zone in order to contain beetles in the current infestation area where treatment is occurring. To view this year's treatment zone, visit the Treatment and Quarantine boundary map. A quarantine is established against the pest known as Japanese beetle (Popillia japonica) per Oregon Administrative Rule (OAR 603-052-0127). The Oregon Department of Agriculture has the authority to take action should non-compliance result in the spread of the Japanese beetle. Failure to eradicate and contain the beetles will result in an established beetle population and a quarantine of commercial agricultural and nursery products to nearby uninfested states, at significant cost to local industries. Restrictions on out-of-state sales for nursery products and other agricultural products could be devastating to these industries and businesses. Q: How long will the yard debris quarantine last? The quarantine is ongoing until yard debris is no longer at risk of moving the beetle. The Northwest Landscape Services drop off is open effective April 1st until early October while adult beetles are active. Q: What types of yard debris are at ‘high-risk’ of moving Japanese beetle and are under quarantine? High-risk yard debris materials change seasonally. For specific information about what is under quarantine, please visit our Quarantine page. Q: Should I take my fall leaves to the Northwest Landscape Services? No. Loads of fallen leaves are not a risk to spread Japanese beetle and are not part of the quarantined material. You can manage them as you would normally, for example, taking to your local yard debris recycling facilities. Q: I live in the treatment area and would like to replace my sod or redo my landscaping. Where should my old sod or landscaping plants go? Whenever possible leave landscaping material in place and postpone extensive landscaping activity until the end of the eradication project. If that is not an option, during April–October all material must be taken to Northwest Landscape Services drop off site. During other times of the year, please contact ODA. Yes, please place directly in the curbside bins. The yard debris is considered hazardous due to the possible presence of beetles, not the larvicide. Certain hot composting conditions could kill the beetle but it is not guaranteed, which is why all yard debris from the treatment area will be transferred directly to the Hillsboro Landfill for deep burial. If you have reason to believe your property or location is particularly hospitable to Japanese beetle and would like to have a trap, contact the contact ODA. Q: I live just outside of the treatment area, should I take my yard debris to a special place? No. If you see a Japanese beetle on your property or have other reason to believe your property or location is particularly hospitable to Japanese beetle and would like to have a trap, contact ODA. Q: I live in the treatment area and participate in my local garden clubs’ plant swap, can I swap plants from my yard if no beetles are visible? No. You should not swap plants from the treatment area. JB can be moved in a variety of ways, including in potted plants. It is likely that the current population was introduced from a potted plant that was moved into the neighborhood from a JB infested area outside of the state. Q: Why is yard debris being taken to Northwest Landscape Services? The Oregon Department of Agriculture, Oregon DEQ, Metro, and Washington County selected the Northwest Landscape Services location at 1800 NW Cornelius Pass Rd, Hillsboro, OR as the yard debris drop off site for residents and landscapers because it was the most suitable location to contain Japanese beetles in Washington county. Note: Northwest Landscape Services is CLOSED to JB drop off services until April 2019. Q: What are you doing to keep beetles from leaving the landfill and other drop off places outside of the treatment area? 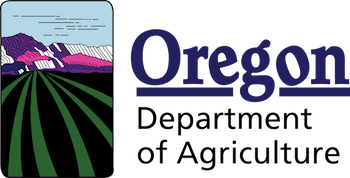 Oregon Department of Agriculture is closely monitoring the landfill and other facilities for the presence of live beetles through extensive trapping and treatments where necessary. No, you must put it in your standard curbside yard debris bin or take it to Northwest Landscape Services. Note: Sod and plants with roots or soil attached can easily move beetle eggs and larvae year-round. Please contact ODA if you have these high-risk materials to move outside of the quarantine area when Northwest Landscape Services is closed. Q: Does all excavated soil need to be taken to Northwest Landscape Services? No. Soil that is attached to plants or root balls, grass that has been removed, or soil in outdoor potted plants that you wish to dispose of should be taken to the drop site at Northwest Landscape Services. Soil removed as part of a larger construction project or is not associated with plant material should not be taken to the drop site. If you are unsure whether or not soil should be taken to the disposal site, please contact ODA for clarification. Access the full list of Japanese beetle resources on the ODA Current Suppression & Eradication projects website.